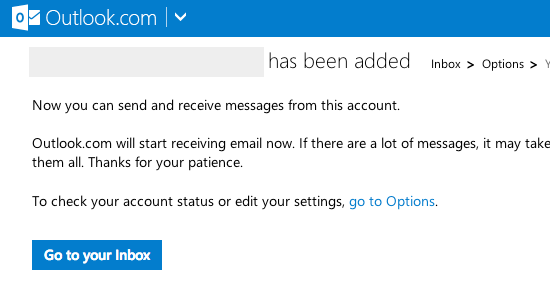 Outlook.com automatically check your POP account for new messages every 30 minutes, and you can receive up to 50 new messages at a time. Any remaining messages will be included the next time your mail synchs. POP accounts can only import email messages from the inbox folder. Click the Options icon, and then click Options. 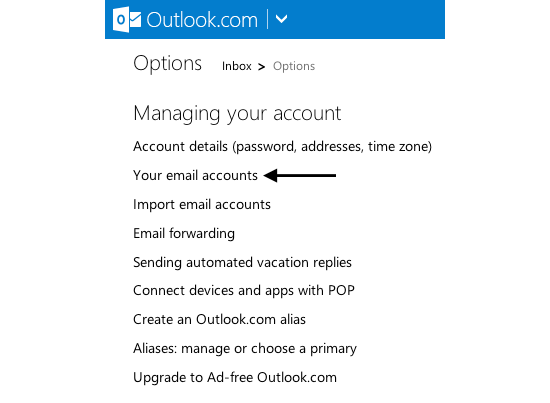 Under Managing your account, click Your email accounts. Under Add an email account, click Add a send-and-receive account. 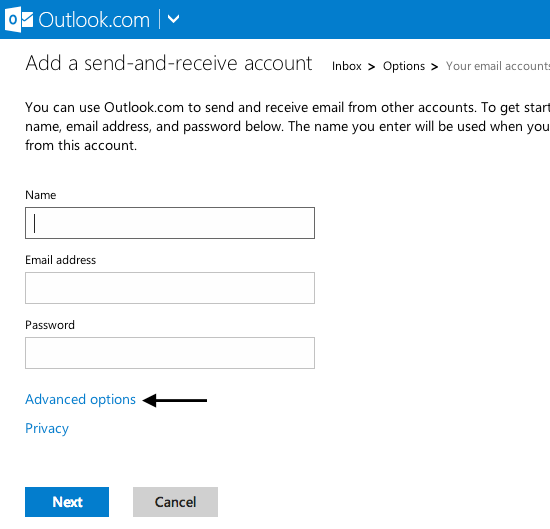 Enter the email address and password of the email account that you want to add to Outlook.com, and then click Advanced options. Modify and enter the relevant information into the respective fields and click Next. 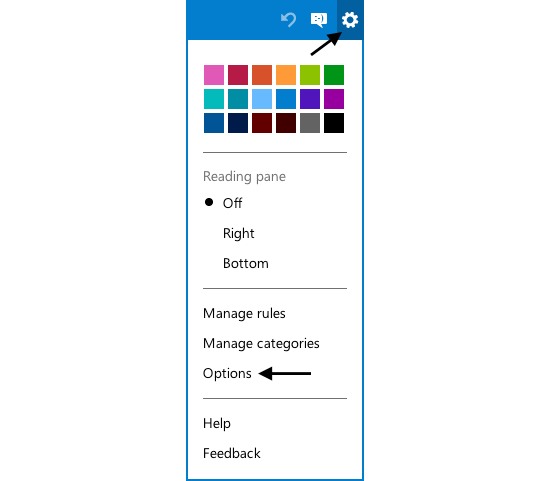 Choose the location—your Outlook.com inbox or another folder—where you want mail from this account to go, and then click Save. Click Go to your Inbox to start receiving email. Depending on how many email messages you have, it could take 24 hours or more for all your email to appear in Outlook.com. The maximum size email message (including attachments) that you can import or receive, is 25 MB. 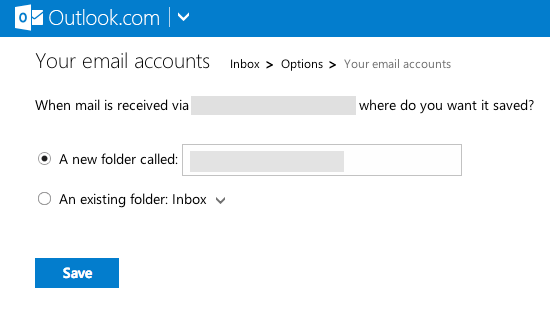 You can add up to 13 accounts total to your Outlook.com account.